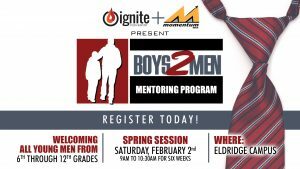 Attention Young Men Ignite Youth Ministry and MoMentum Men’s Ministry will launch the Spring Edition of Boys 2 Men Mentoring Program on Saturday, February 2, 2019 on the Eldridge Campus. 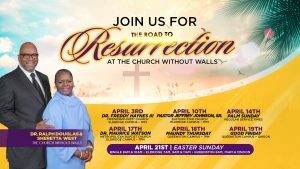 Young men are welcomed from the 6th through 12th grades. 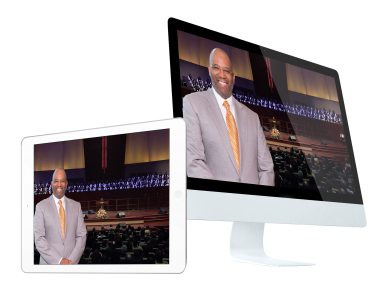 The Boys 2 Men spring classes will be held from 9am to 10:30am for six weeks on the Eldridge Campus.